Starting on Thursday, June 30 at 9 p.m., and for the next 6 weeks, WSBE Rhode Island PBS broadcasts the beautifully filmed and fascinating story by Ken Burns and Dayton Duncan, The National Parks: America's Best Idea. Filmed over the course of more than six years at some of nature's most spectacular locales – from Acadia to Yosemite, Yellowstone to the Grand Canyon, the Everglades of Florida to the Gates of the Arctic in Alaska - The National Parks: America's Best Idea is nonetheless a story of people: people from every conceivable background – rich and poor; famous and unknown; soldiers and scientists; natives and newcomers; idealists, artists and entrepreneurs; people who were willing to devote themselves to saving some precious portion of the land they loved, and in doing so reminded their fellow citizens of the full meaning of democracy. The series is re-broadcast every Saturday at 1:30 a.m.
Before the mini-series begins, WSBE presents Olmsted and America's Urban Parks on Thursday, June 30 at 8 p.m. and at 12:30 a.m. (half after midnight) on Saturday, July 2. 151 years after Frederick Law Olmsted designed New York City’s Central Park with Calvert Vaux, it remains an undisputed haven of tranquility amidst one of the largest, tallest, and most unnatural places on earth. 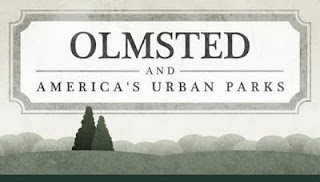 Olmsted and America's Urban Parks examines the formation of America’s first great city parks in the late 19th century, through the enigmatic eyes of Frederick Law Olmsted (1822 – 1903), visionary urban planner and landscape architect. With incredible foresight that spanned centuries, Olmsted brought nourishing green spaces to New York, Boston, Chicago, San Francisco, Atlanta, Louisville, and dozens of other US cities. Throughout his working life, Olmsted and his firm carried out over 500 commissions, nearly 100 of which were public parks. The parks, he held, were to be vital democratic spaces in cities, where citizens from all walks of life could intermingle and be refreshed. Prior to officially committing to landscape architecture, Olmsted was a New York Times correspondent to the Confederate states, the manager of a California gold mine, and General Secretary of the United States Sanitary Commission during the Civil War. The man, a workaholic by today’s standards, plagued with chronic ailments, spent the latter half of his life devoting nearly every waking minute to creating restorative green spaces for overworked city dwellers. In large part through his own words, this film weaves together his engaging and poignant personal story with those of the lasting masterpieces he left for us today. Autism is a major public health crisis. More children will be diagnosed with an autism spectrum disorder this year than with childhood cancer, juvenile diabetes and pediatric AIDS combined. It is a devastating neurodevelopmental disorder that affects a child’s communication and social skills, ability to empathize and often IQ. There is no clear cause and no cure. WSBE will air Autism: Making it Work on Wednesday, June 29, and Decoding Autism on Wednesday, July 6. The films begin at 8 p.m. both weeks. Autism: Making it Work explores the growing needs of adolescent and young adults with autism. In 1991 the number of autism cases increased sharply. That population will begin exiting the school system to enter the general population. What are their needs? What can parents do to plan for their future? What's in place to ensure their success? Segment One: Transition. In the first segment, host Lillian Vasquez talks with professionals who have worked in the field and followed the cases of children, now nearing adulthood. Author and professor Stephen Shore who was diagnosed with Autism as a child, will share his story of surviving the autism maze, and how he is coping with the demands of our modern society. Segment Two: Working. A look at a national company that is meeting the challenge head-on by training and employing individuals with disabilities. We'll learn this company?s corporate philosophy and how it was inspired Two young men diagnosed with Autism will share how they like their jobs and learn the challenges they faced when entering the workforce. Segment Three: Law Enforcement. Then explore how law enforcement and first responders can play a pivotal role with individuals with autism. Dennis Debbaudt (law enforcement training expert) will share the importance of preparing officers and other first responders for the challenges they might face or problems that may occur when dealing with someone with autism. We?ll visit one police department embracing the idea of training and hear one officer's story of how the training made a difference. Segment Four: Sailing. In the last segment, board a sailboat in Southern California to learn how one man's love of the water and his desire to give back to the autism community allow him and him to take families sailing. Discover how more families with autism can experience sailing and how sailboat owner may get involved. Nationally, one in 110 children is diagnosed with an autism spectrum disorder, but in New Jersey, the prevalence rate is one in 94! These alarming statistics have led to an enormous amount of scientific research in an effort to decode the mystery of autism. Scientists are studying the brains, blood and genes of children with autism and looking at the environment to find answers about what causes it. Decoding Autism, with Emmy Award-winning journalist Sara Lee Kessler, is an hour-long documentary that highlights the efforts underway both in New Jersey and in cities like New York, Boston, Philadelphia, Louisville and Sacramento. Scientists hope to gain insights that will lead to prevention, treatment and even a cure. Decoding Autism also gives viewers a first-hand look at the challenges families face to find help for their children. It is a race against time because it’s well documented that early intervention provides the best hope of lessening the severity of autism spectrum disorders. This week's panel features journalists across media. An analysis of the last days of this year’s legislative session including the state budget, civil union legislation, and a proposed binding arbitration bill. From Lock-Up to Law School: "Power of Consistently Bettering Yourself"
The story began in 2004, when WSBE received a grant to work with community groups to raise public awareness about the issues and challenges facing men leaving prison. The rate of recidivism (returning to prison) is notoriously high, but for those individuals who are committed to breaking the cycle and changing their lives, the deck was unfairly stacked against them. Fledgling organizations were emerging, whose work would help bridge the canyon between tall prison walls and wide open streets. But they needed more help; public attention had to be drawn to the issues to reshape thinking and reallocate resources. The WSBE project that started a two-year, two production project was simply called, Re-entry, and our first show was entitled, Re-entry: Opening Dialogue to Open Doors. In the project's second year, we explored the unique issues of women leaving prison, and focused on employment, producing The Business of Re-Entry in 2005. It was an informative and rewarding experience, bringing together the RI Department of Corrections (Director A.T. Wall supported the project wholeheartedly, and was open and accessible to us throughout) and grassroots organizations like OpenDoors, known at the time as the Family Life Center, to share their stories and perspectives at well-attended and lively community forums. Part of the station's second-year outreach efforts included presentations to Rotary Clubs across the state. The goal of having a former inmate tell his or her story was to help break down stereotypes, to encourage new ways of looking at the formerly incarcerated, and to consider the opportunities of hiring dedicated and motivated employees. One presentation - made to the Cumberland-Lincoln Rotary - featured Andres Idarraga. He spoke with courage, determination, and charisma. I remember thinking this young man was going to succeed in a big way. His presentation that day - and many more that followed outside our project - helped build support for legislation that ultimately reinstated voting rights to the formerly incarcerated in Rhode Island. Providence, RI --Getting into law school is hard. But getting into law school with a criminal record is even harder. Two former Rhode Island inmates Noah Kilroy and Andres Idarraga understand this challenge and have overcome it. Idarraga graduated from Yale Law School this past May, and Kilroy recently completed his first year of law school at the University of Detroit Mercy School of Law. Success has not been fleeting for Idarraga and Kilroy. Idarraga earned his undergraduate degree from Brown University in 2008, and Kilroy his undergraduate degree from Salve Regina in 2009. Both talk about the importance of perseverance when reflecting upon their educational successes. Idarraga describes his success to the “power of consistently bettering yourself.” Idarraga put perseverance into practice when he was originally denied admission to Brown University as an undergraduate. He applied a second time and was successfully accepted. Pride for Kilroy and Idarraga’s achievements extends to OpenDoors. OpenDoors, a Providence nonprofit, which provides services to the formerly incarcerated, has worked with both. Kilroy worked as an intern at OpenDoors following his release and Idarraga served on the OpenDoors’ Right to Vote Campaign in 2008. And that is exactly the message that Kilroy and Idarraga want to share. Congratulations to Andres and Noah for their hard work. And congratulations to Sol and Ron and all the folks at OpenDoors for their good work. 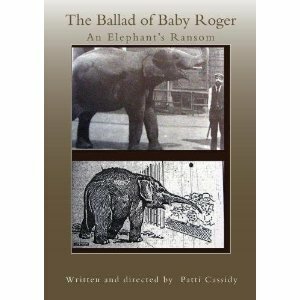 Rhode Island Stories: "Ballad of Baby Roger" and "Carolina, RI"
The Ballad of Baby Roger, a short documentary written and directed by Jamestown resident Patti Cassidy, tells the fascinating story about a four year old elephant that the children of Rhode Island purchased for Roger Williams Park back in 1893. Baby Roger was the Park's first elephant and the only male elephant in its 139 year history. The South County Independent and The Westerly Sun published stories about the short film earlier this year. WSBE Rhode Island PBS will show The Ballad of Baby Roger on Saturday, June 18 at 7 p.m. as part of its ongoing series Rhode Island Stories. Following The Ballad of Baby Roger, WSBE airs part 1 of Carolina, RI: The Smallest of the Small, a film by Carla Ricci about the village of Carolina in Richmond, RI. UPDATE: Broadcast of Carolina, RI: The Smallest of the Small is postponed until further notice. We apologize for any inconvenience. A hundred years ago, New England had 2,000 milltowns - and one of them was tiny: 75 houses clustered around one street less than a mile long. But, Carla Ricci says, "don't let looks deceive you: Carolina, RI, has a big story." As mill towns go, it may be the smallest of the small, but this film makes the case that it may be one of the best. What started out for Ricci as casual conversation between neighbors turned into a seven-year long journey of research and discovery, poring over historical letters, photos, and documents, as well as hours of captured recollections and reminiscences. What resulted is the woven tapestry of the rich - and almost forgotten - history of remarkable Rhode Islanders from a remarkable Rhode Island village. This link will take you to a video preview. Don't miss the "Cutting Room Floor" for more stories that didn't make it into the final film. Carolina, RI: The Smallest of the Small will be shown in two parts: June 18 at approximately 7:15 p.m. and on June 25 at 7 p.m. on WSBE Rhode Island PBS. On WSBE Learn, the film will air June 22 (part 1) and June 29 (part 2) at 10 p.m., June 23 (part 1) and June 30 (part 2) at 5 a.m., and June 24 (part 1) and July 1 (part 2) at 2 a.m. New air dates and times will be announced when broadcast-quality version of the video is available.